If Dark Souls III is the final visit to this series, then it is the apex the series deserves and certainly one of the most worthwhile adventures we’ve embarked on in a long time. 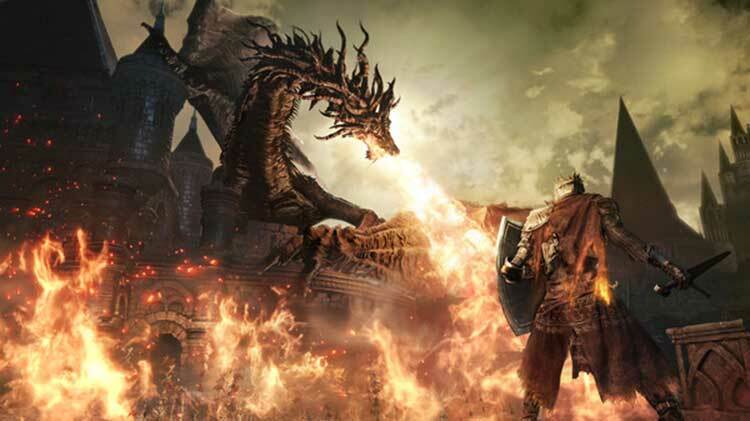 Dark Souls III successfully replicates the winning formula of the Souls series, a wondrous combination of majestic boss battles, incredible layered environments full of secrets, and precise combat that can make other action RPGs difficult to play once you’ve mastered the art. If you’ve never played the series, this is a great place to begin, offering a bit more direction in the early game before opening up. Any player who’s been through this mill is prepared to die, but once more, that fantastic beacon of hope urging players to press forward and overcome each obstacle is shining as bright as ever. Because that’s what Dark Souls is all about – perishing, persevering, and prevailing. No game series comes close to doing what Dark Souls does, and Dark Souls III has done it again. It’s an undead favorite. While it’s still impossible on a personal level for me to admit that any of Dark Souls’ siblings could better it, when taken as a whole, complete experience, Dark Souls III may be the best chapter of the Souls series that From Software has crafted. A fitting way to end, if that will indeed be the fate of the franchise. Even if Dark Souls 3 doesn't inspire awe, then, the superb combat goes some way to making up for it. 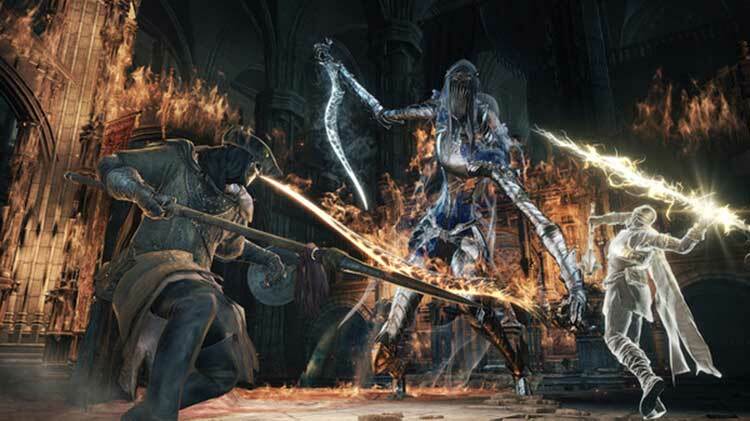 It never hits the heights of Bloodborne or the original Dark Souls, but then not a lot does.Dark Souls 3 relies too much on former glories to reach the heights of Bloodborne or the original Dark Souls, but that doesn't stop it being another superb adventure. At this point, most Souls players know what they're looking for in a new entry. 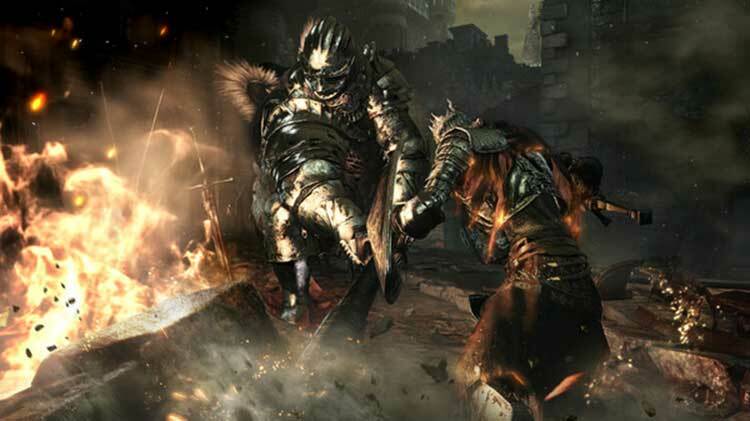 Your personal expectations for the series will play a key part in your enjoyment of Dark Souls 3. If you play these games for the intense, controller-clenching combat and the excitement of invading other players' worlds, then there's a lot here to keep you busy and happy. But in so many important ways — its world design, its pacing, the technology powering it — Dark Souls 3 falls short of the mark. Weapon arts allow stylish and versatile new moves without tarnishing the purity of the combat system. 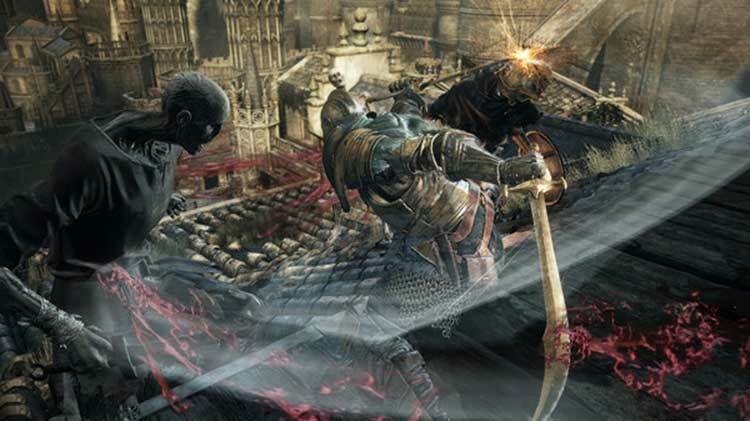 Lothric’s awe-inspiring locations provide visually stunning arenas for rigorous exploration and fierce face-offs with hosts of deadly enemies and even deadlier bosses. While not all the risky changes land as neatly as others, Dark Souls 3 is a powerful journey and the sequel the series truly deserves. We have the zenith of the Souls formula, and that is mostly a good thing. Dark Souls 3 is the most elegant distillation of the “demanding but not impossible” style first put forth in Demon’s Souls. And the return of the mana bar brings the greatest degree of play-style experimentation the series has had. Add to that From’s finally stable-at-launch multiplayer servers, and Dark Souls 3 is the most complete feeling Souls experience in the franchise. Through climactic boss fights, bewitchingly forsaken landscapes, and heightened combat, Dark Souls III meets the lofty expectations of the Soulsborne series. Even with minor issues with linearity, framerate, and the originality of level design, Dark Souls III is an outstanding send-off for a seminal trilogy that has influenced and legitimized difficulty in games with unapologetic force. Its undying flames will be felt forevermore. All of the praise that Dark Souls III receives is well deserved, because it gets most of everything right. However, it never strays from the established formula. This is something most gamers are willing to ignore, just because the formula is excellent. Although it's great that the Dark Souls series can retire on a high note, it's a shame that its crown has gone unchallenged. Hopefully that will change in the future. 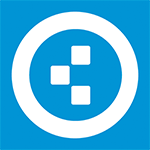 Videogame companies in competition with one another helps to bring out the best in them. From Software has done a great job cherry-picking the best elements from its previous efforts, resulting in the best overall game experience. This is evident in the increased pace of combat (recognised from Bloodborne), but also the well known Fast Travel system that was added in Dark Souls II, allowing you to travel between bonfires without returning to the hub every time. With so much hidden within the many halls, caverns, and even graveyards of Dark Souls III, it’s a wonder that From Software is able to cram so much into an intensely difficult experience. While I was unable to experience the online portion of the game at this time, the amount of covenants you are able to join indicates that a lot of the kinds of multiplayer shenanigans that usually happens when other players get involved. Refined combat, excellent creature and world design and frequent shout-outs to series highlights make this, in many ways, the best of the lot. If this is indeed how Dark Souls dies, at least we can take solace in the fact that From had the foresight to spend all its hard-earned souls on upgrades before the series bit the dust. But no matter where you place it in your own personal hierarchy this is still an exceptionally well crafted and supremely entertaining video game. Where the series goes from here no one but Miyazaki knows, but if Dark Souls III does nothing else it confirms him as one of modern gaming’s most talented creators. The company's Souls series has a near-flawless track record and after the cult nature of Demon's Souls has thankfully found a large and receptive mainstream audience – not bad for a franchise which delights in being obtuse and hair-pulling tricky in equal measure. Dark Souls III is arguably the most accomplished entry yet, refining the core mechanics and cunningly utilizing next-generation hardware to excellent effect. Few titles this generation will match the purity of Dark Souls III as a game. This is as brutal, exhilarating, and compelling as the series has ever been, but it is also laden with the heavy burden of expectation that its heritage brings. Significant, yet minor improvements are made to the established formula, and nostalgia is warmly embraced a little too often, yet this still doesn’t prevent Dark Souls III from being a fine game. Un gran título que es el colofón perfecto a una serie que ha cambiado la forma de entender los videojuegos en los últimos años. Dark Souls 3 evoluciona todas las propuestas de From Software en sus últimos lanzamientos y va más allá, con un juego tan completo y difícil como detallado. Pero sobre todo, es encomiable que aun después de cinco juegos, y tratándose de una aventura cuya base nos sabemos mejor que la palma de la mano, consiga sorprender de la forma que lo hace. 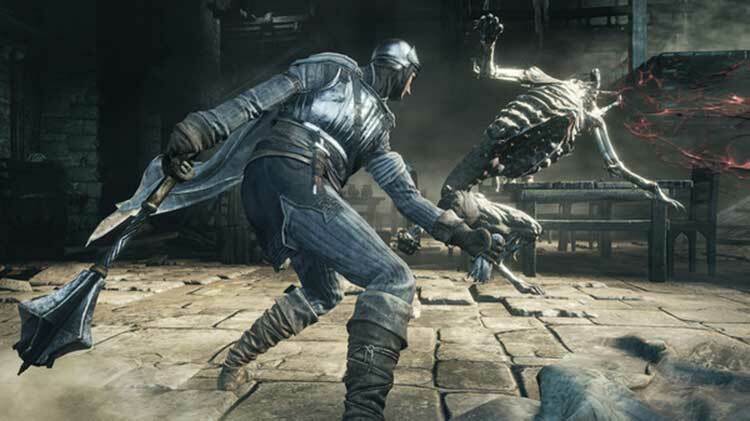 Porque Dark Souls III sorprende, y mucho. Los elementos que han hecho grande a la saga se han pulido y perfeccionado hasta alcanzar un grado difícil de superar. El año pasado el estudio nos sorprendió a todos con Bloodborne, su primer juego para la nueva generación de consolas y en exclusiva para Sony y su PlayStation 4, una aventura con una ambientación muy diferente y un enfoque mucho más directo y agresivo que nos enamoró por completo. Poseía todas las virtudes de los mejores Souls, pero la fórmula tenía las suficientes diferencias como para que se sintiera como algo distinto y fresco. Le level design est excellent, le gameplay soigné aux petits oignons, la direction artistique grandiose et les graphismes de qualité. Malgré quelques petits soucis techniques à déplorer, ce jeu est assurément l'un des meilleurs "Souls", et même, sans hésitation, déjà l'un des meilleurs jeux de 2016. Chaque volet a beau disposer d’un ou plusieurs aspects légèrement plus aboutis, aucun ne parvient à exceller dans tous les domaines avec autant de maîtrise. La remise à plat du système de combat, le travail réalisé sur les animations, la folie des décors, l’audace de la mise en scène, l’immense rejouabilité, le bilan technique enfin acceptable ou encore la bande originale sublime sont autant d’éléments qui font de Dark Souls III un chef d’oeuvre. Tout simplement. S’adjoindre les services de trois compagnons peut s’avérer utile pour terrasser un boss coriace, un mot de passe pouvant être créé afin de ne jouer qu’avec des amis. Quant au PvP, il reste de mise et c’est toujours aussi grisant d’aller pourrir la partie d’un autre joueur, d’autant que les règlements de compte se déroule sans le moindre accroc majeur. En somme, tout est parfaitement huilé. 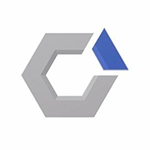 Seguendo gli stilemi imposti dai suoi predecessori, il gioco pone le sue basi su un elevato livello di sfida, su una direzione artistica ispirata e su un senso di progressione ostica ma ben calibrata, corroborati da un sistema di combattimento più fluido e dinamico, elementi capaci da soli di spingere in secondo piano i difetti, alcuni dei quali ormai "storici", che tra l'altro non sono così pesanti da pregiudicarne più di tanto la fruibilità e la bellezza del titolo. 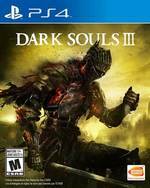 Dark Souls III è al contempo un gioco mozzafiato per i fan e una grande occasione per i nuovi arrivati. I primi potranno godere di uno dei migliori episodi della saga, in grado di districarsi magistralmente tra meravigliosi omaggi ai suoi predecessori e un fantastico equilibrio di varietà, senso di progresso e grado di sfida. Direzione artistica e level design sono ai massimi livelli, e cancellano la potenziale delusione per un mancato world design alla Lordran. Dark Souls 3 voelt fris en vestigt zich met gemak als beste en meest uitgebreide game van de franchise, en plaatst zichzelf daarnaast ook nog in het rijtje als een van de sterkste games van het jaar. Weet waar je aan begint, want Dark Souls 3 is niet goed voor je gezondheid! Prepare to die! Hoe je het ook wendt of keert, Dark Souls is en blijft de beste actie/RPG-reeks. Dark Souls 3 is de snelste qua combat, de mooiste qua graphics en de meest diverse door de nieuwe Weapon-Arts. Ook het level-ontwerp is fantastisch, maar voelt iets te vergevend door het grote aantal bonfires. Ondanks dat is Dark Souls 3 een genot van begin tot eind en is precies hoe deze reeks hoort te eindigen. Jeśli rzeczywiście Dark Souls 3 jest ostatnim w serii, to jest niewątpliwie jej godnym zwieńczeniem. Na wiele sposobów jest listem miłosnym adresowanym do wszystkich, którzy ukochali te gry w przeszłości. Być może nawet stawia za bardzo na nostalgię, jednocześnie nie wprowadzając za wiele nowego. Pomimo niesamowitości całego świata, nie mogłem oprzeć się wrażeniu, że część jego krain wygląda podejrzanie znajomo.